With Readly you can read Illustrate With Photoshop Genius Guide and thousands of other magazines on your tablet and smartphone. Get access to all with just one subscription. New releases and back issues – all included. 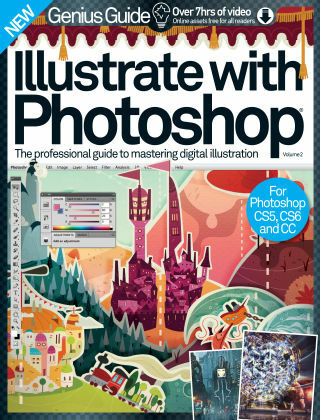 Providing the most inspirational and challenging tutorials, the new Illustrate with Photoshop Genius Guide is the best way for illustrators and designers to test their skills. 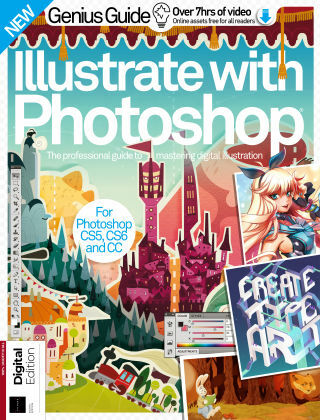 Suitable for professionals and advanced Photoshop enthusiasts, this book provides helpful advice and step-by-step tutorials that are sure to fill in that gap in your skill set, or polish up your weaknesses. The guide caters to a range of specialties and interests, from graphics to typography, teaching you to adapt and apply your skills to push yourself even further.